MUNICH (May 21, 2014) – Crown Equipment Corporation, one of the world’s largest material handling companies, earned its second consecutive International Forklift Truck of the Year (IFOY) Award earlier this week at the CeMAT trade fair in Hanover. 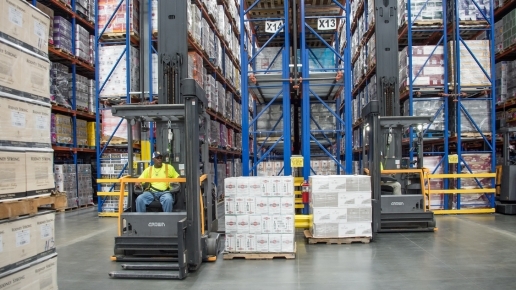 This year’s award honors Crown’s QuickPick® Remote order-picking technology, which prevailed in the “Warehouse Trucks” category during an IFOY test week in real-world conditions. In 2013, the company earned the prestigious award for the InfoLink® wireless fleet and operator management system in the “Forklift Truck Solutions” category. The independent jury of internationally respected trade journalists was especially impressed by the innovation, ergonomic efficiency and customer benefits embodied in the QuickPick Remote system. The system simplifies the working steps required to pick orders, which reduces physical stress on the operators while simultaneously helping to enhance productivity and safety during the order-picking process. The jury stated that the highly innovative and well thought-out “magic glove” remote control concept was the key factor in choosing the Crown GPC 3000 with QuickPick remote control for the award. In terms of its highly intelligent operating concept and outstanding efficiency, QuickPick Remote constitutes a genuine innovation that serves as a benchmark for all future semi-automatic order picking trucks. QuickPick Remote brings together technology, workflow efficiency and optimized operator activity in a natural, systematic order-picking process. Using a wireless remote control incorporated into a special work glove, operators can move their order pickers forward to the next pick location at the touch of a button without having to climb repeatedly on and off the truck’s operator platform. At the same time, operators can keep both hands free for their actual order-picking work. Studies have shown that on average, warehouse workers walk a total distance of 25 kilometres (15.5 miles) every day, carrying cumulative loads ranging from 5,000 to 10,000 kilograms (5-10 tonnes). QuickPick Remote reduces the distance that operators must carry their loads by up to 50 percent. Their ability to remotely move the forklift to the next pick location also reduces the time required to climb on and off the truck by up to 70 percent. Non-productive steps are eliminated, which stands to improve productivity. Physical stress is reduced, so operators feel less fatigue. This in turn may reduce injuries, bringing managers closer than ever to achieving the ultimate goal of error-free, accident-free picking. The threefold outcome of streamlining the entire order-picking process is increased productivity, safety and profitability. 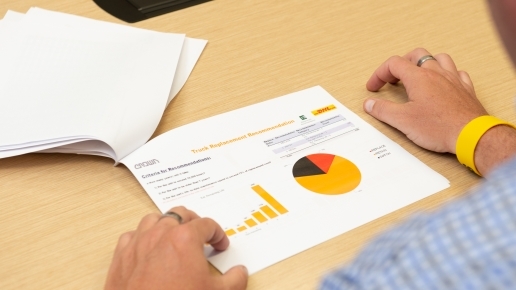 Long-term tests carried out by customers using QuickPick Remote confirmed that overall productivity increased by 10 percent on average, with peak improvements of up to 25 percent in specific instances. The mission of the IFOY Award is to identify and recognize the year’s best material handling equipment and intralogistics solutions, assess outstanding technical and strategic achievements in intralogistics, and generate stimuli for innovation. In doing so, the competition aims to enhance the public perception and competitiveness of the entire intralogistics industry, and has become one of the industry’s most prestigious awards. 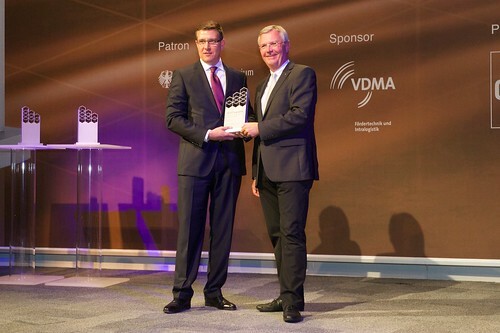 The award is made annually by an independent jury of internationally-reputed trade journalists and presented in cooperation with CeMAT. It is sponsored by the VDMA Materials Handling and Logistics Systems Sector Association and comes under the patronage of the German Federal Ministry of Economic Affairs and Energy.